Sonic fans and gamers alike all know the drill by now: a new Sonic game is announced, the game looks promising, hope arises within the community, the game comes out, and it bombs. This has been going on for years now, and Sonic Boom: Rise of Lyric is no exception. In fact, it may even be worse. If you’re wondering why there are no reviews up of Sonic Boom yet – @SEGA didn’t send out review copies for it. You can guess why. That’s right, SEGA didn’t even give out review copies. That’s even worse than Ubisoft. This is barely the tip of the iceberg. 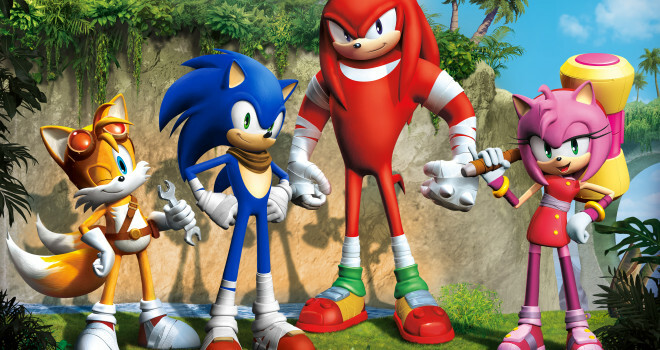 Look up Sonic Boom on Twitter an there are loads of angry customers and jokes being made at the game’s expense. But that’s not all. There’s actually a glitch that allows the player to skip through 80 % of the game. In the video below (uploaded by DarkspinesSonic), you will see what is being called the “Infinite Height Exploit”. It involves the player jumping with Knuckles, then pausing immediately after. It’s really something else. Someone even took to Twitch and beat the entire game in about one hour. I took a look at this game and I have to say it is incredibly boring and obviously unfinished. Unlike a Sonic game should be, the game is very slow with a lot of unnecessary gimmicks…again. One minute it’s a poorly designed beat-em-up, the next it’s a sleep inducing puzzle. Also I’m not one to usually complain about graphics or anything, but there is absolutely no excuse for these visuals. It is 2014 and gamers have standards. They got it right with Sonic Colors and Sonic Generations, but other than that, it seems as though we haven’t had a decent 3D Sonic game in about ten years or so. It’s sad because I really love the franchise, but their games just don’t hit anymore. This game not only doesn’t hit, it’s appears to be near unplayable. I’m really glad I didn’t pick this one up. With this PR, Big Red Button’s going to need to bust out a seriously great game after this, assuming they’re still around.